Noemie Goudal, Cascade, 2009, Lambda print, 168 x 198 cm. In 2013 Knokke-Heist will launch a new international photography prize, called the PixSea Award. 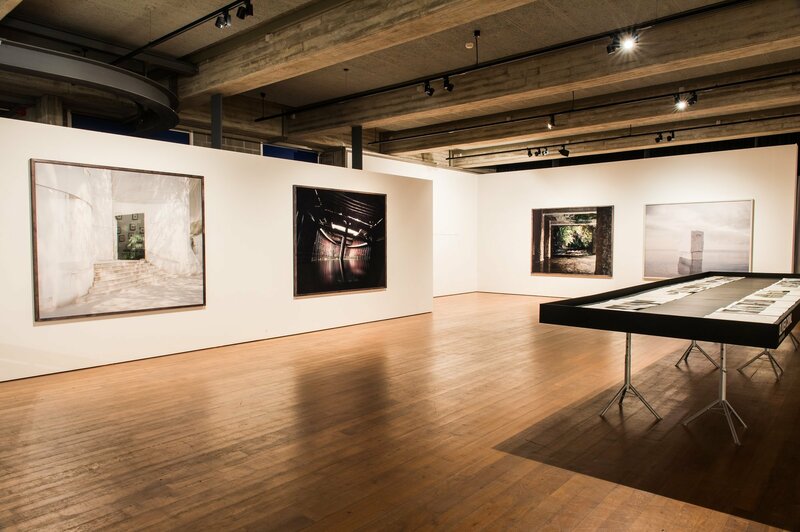 The aim of this biennial competition is to stimulate artistic creation, provide support to professional photographers as well as contributing to the debate on contemporary photography. The 'Oeuvre Award' goes to the photographer who has helped shape the agenda of photography in the past decade and whose original body of work is of great significance from a contemporary perspective. The prize in essence is "a quest for the black pearl in photography" (in the words of Thomas Wesky, a jury member) and to place it in the spotlight. The 'Emerging Artist Award' goes to a photographer who has inspired a new direction in photography, by changing the way we look at photos, by raising important issues or by an innovative approach to the medium itself. Several European photography experts, who combine intensive prospection with expertise and a personal commitment, compiled a longlist of 17 candidates for the Emerging Artist Award and of 15 candidates for the Oeuvre Award. An international jury chaired by Claude Blondeel (an art critic of the Belgian public broadcasters Klara and Radio1) consisting of David Campany (author, curator, artist and lecturer at the University of Westminster, London) , Agnès Sire (director of the Henri Cartier-Bresson Foundation), Mark Van Moerkerke (art collector), Thomas Weski (Professor of 'Curational Cultures' at the Academy of Visual Arts) and Els Barents (Director of the Huis Marseille|Museum for Photography, Amsterdam) selected the shortlist of eight photographers and the winners. The Oeuvre Award will be presented to Guido Guidi on March 24th, 2013. Guidi (°1941, Cesena) studied architecture in Venice but worked as a photographer from the late Sixties onward. He is widely considered as a pioneer of the new Italian landscape photography with a keen eye for the cultural and historic layers of the contemporary urban landscape. The winner of the Emerging Artist Award will be announced on May 23rd, 2013.